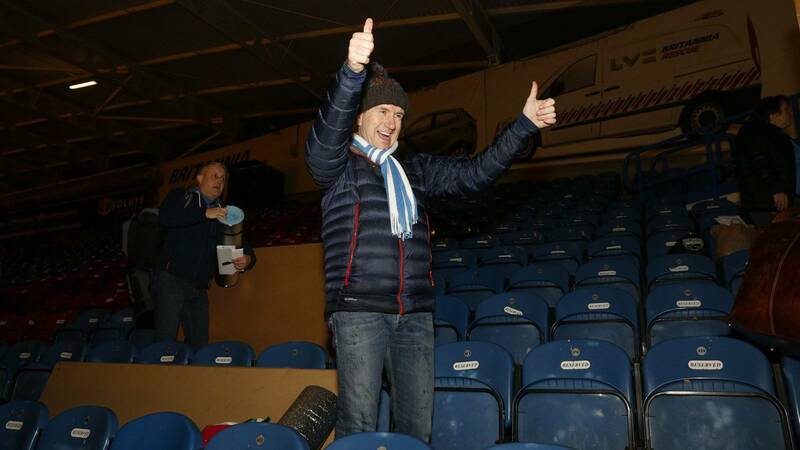 Dean Hoyle, along with 150 other fundraisers, took part in the inaugural ‘Big Sleep Out’ at The John Smith’s Stadium on Friday evening, raising well over £40,000 for local homeless causes. Huddersfield Town Chairman Dean Hoyle, alongside Town Foundation Trustees Janet Hoyle, Sean Jarvis and Ann Hough, joined local dignitaries and supporters to brave the outdoors to raise money for local homeless causes, including local charity Huddersfield Mission. The evening began with fundraisers descending on a rainy John Smith’s Stadium to begin preparations for a night of braving the elements in one of the stands. Participants were given the option of sleeping either on the concourse or on the floor of the stand, with most opting to sleep between the seats overlooking the playing surface at the Stadium, which was gloriously lit up by the heat lamps on the pitch. Before settling down for the night, all participants took a seat in the stand to hear speeches from Town’s Commercial Director Sean Jarvis, the Town Foundation’s Operations and Events Manager Julie Sheffield and Paul Bridges from Huddersfield Mission, before a special message on the Big Screen from Huddersfield Town First Team Players and Staff, who were tucked up in bed ahead of the game against Swansea City the following day. 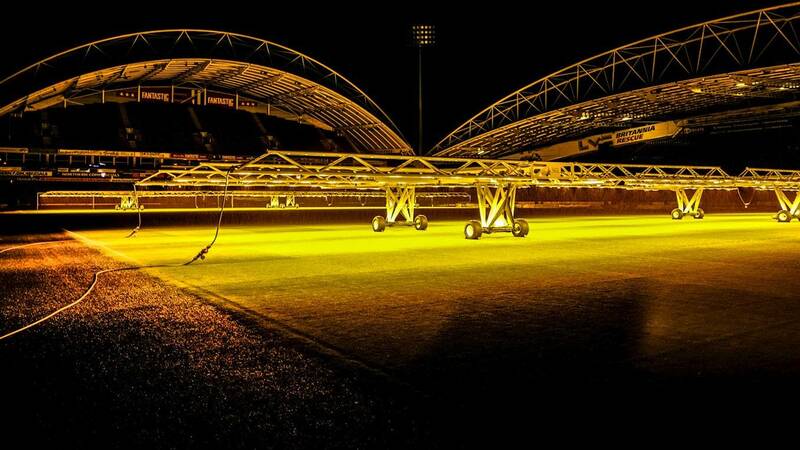 Participants were asked to raise £100 to take part, with 100% of all money raised going directly to the help causes, with any cost of the event covered by Huddersfield Town Chairman Dean Hoyle. Fundraisers were kept warm with hot drinks and soup on the evening before being woken up on the morning to Bacon Sandwiches provided by PPG Canalside. “I would like to thank everyone for coming along and helping raise so much money at the Big Sleep Out. Everyone enjoyed the event and there was a great sense of togetherness, one of the great attributes about the Football Club across the board. “My special thanks go to all the six partners who have backed the initiative and help make is successful as it was; Bastion Estates, One 17 design, Welhouse Leisure, Absolute Warehouse, Shepley Spring and Standard Fireworks. The full amount of the money raised by the Big Sleep Out will be released in due course. You can still make a difference and help the local homeless people of Huddersfield by donating via the fundraising page or purchasing Huddersfield Mission Meal Vouchers. To learn more about the vouchers please click here.